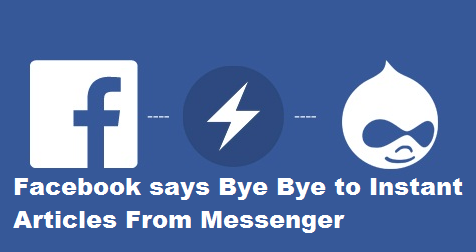 Facebook on Tuesday has removed its self-hosted, fast-loading article format Instant Articles meant for mobile from the Messenger app. This feature of Facebook was originally designed to run in the News Feed in the Facebook core app and will continue to do so, Tech Crunch reported late Tuesday. Several high profile publications and publishers either pulled, scaled back or never participated in Instant Articles in the first place because of the lack of monetisation on the platform. There have also been issues with traffic reporting with the format.